Lady Pirate Ashlee Howell races down field. Pirate Mack Moderie heads for the goal. In Dillon, the Ronan Chiefs were shut out 35-0 on Friday evening. Against a stout Beaver defense, the Chiefs where held to 99-yard total offense. On the road, the Pirates fell 0-4 on the season in a 48-12 loss to the Hamilton Broncs on Friday evening. Quarterback Boston Goode went for 135 yards with two passing touchdowns. Goode went deep to Parker Toth for a 65-yard touchdown in the first quarter and hit Ryker Wenderoth for an 18-yard touchdown in the fourth quarter. The Warriors move to 3-1 on the season with a 54-24 at home win over Plains on Friday evening. Warrior Lane Schall had an impressive game as quarterback, completing 15 of 26 passes for 329 yards and four touchdowns. Darshan Bolen rushed for 71 yards in 10 carries with two touchdowns. Wide receivers Lane Johnson and Chase Gardner both caught two touchdowns each. Johnson had seven catches for 164 yards and Gardner hauled in five catches for 148 yards. Sophomore Colt Crawford ran in two touchdowns on four carries. On the road, the Lady Pirates fell 24-26, 10-25, 25-17, 24-26 to the Hamilton Lady Broncs on Tuesday, September 11. Kaylanna DesJarlais led the Lady Pirates with 19 digs, while Maggie Todd chipped in with a team high of 12 kills. Mission Lady Bulldogs took the first set on the road against Bigfork on Thursday, however lost the match 25-19, 18-25, 21-25, 23-25. Addison Arlint had seven kills and three blocks for the Lady Bulldogs. Kaitlin Cox led at the net with 13 kills Thursday as Charlo defeated hosting Darby 25-14, 25-20, 23-25, 25-14. Teaira Truman had 30 assists, while Cox added 13 digs and eight aces for the Lady Vikings. It took visiting Arlee five sets to put Hot Springs away on Thursday. The Scarlets won the game with 26-24, 15-25, 25-11, 23-25, 15-12. Emily Fiddler had 60 digs for Arlee. The Lady Pirates prevailed over visiting Browning in five sets on Thursday, 25-15, 21-25, 25-18, 23-25, 15-13. Kaylanna DesJarlais and Mikaela DuCharme both lead Polson with 17 digs, and Grace Quinones added 11 kills. On Saturday, Cox hammered 15 kills, Liev Smith had 11 and Bella Hawk added eight in powering Charlo to a five-set 22-25, 26-24, 25-12, 22-25, 15-12 win during the visiting Hot Springs 14C matchup. Cox had 10 aces and added 37 digs, Kira Mcphail chipped in with 11 blocks, and Hawk had 32 digs. Polson Pirate Trey Kelly finished fourth with a 76-79-155 score during the two-day Kalispell Invitational on the Northern Pines golf Club and the Buffalo Hills Golf Club. For the Lady Pirates, Cali Cannon shot a seventh place 94-91-185 during the same tournament, which started on Wednesday and finished on Thursday. 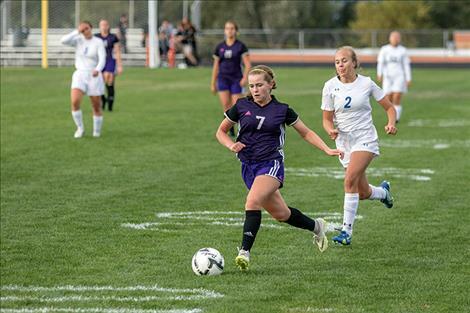 Polson defeated Libby 6–1 in a Western A conference match at home on Thursday. Ashlee Howell had four goals and an assist to lead the Lady Pirates. Sophia Moderie scored two goals. Ali Hupka led with two assists, while Megan Rost and Lilly Armstrong added an assist each. Rost and Kalie Finkbeiner each had a save in goal for the Lady Pirates. 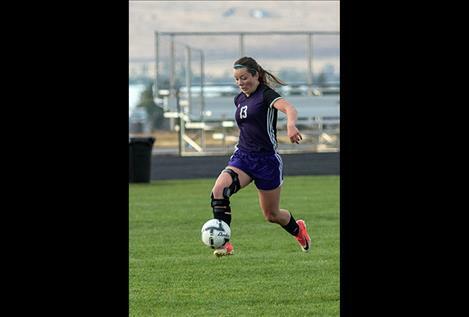 The Lady Pirates fell 5-3 to visiting Columbia Falls Wildkats on Saturday. Howell fired in two goals, while Hupka added a goal and Moderie tallied two assists for the Lady Pirates. Mack Moderie and Robin Erickson each scored four goals apiece to lead Polson past visiting Libby 10-1 on Thursday. 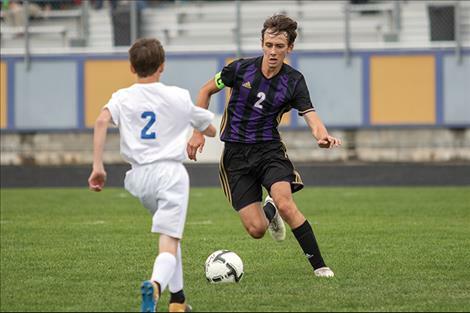 Bridger Wenzel and Nico River netted a goal for the Pirates. Erickson led the Pirates with four assists. 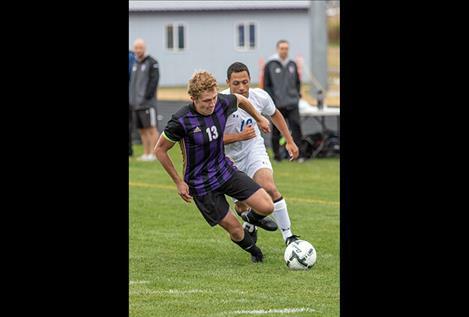 On Saturday, the Pirates moved to 6-0 on the season with a 6-0 home victory over Columbia Falls. Moderie found the back of the net four times and doled out two assists to lead the Pirates. Erickson added two goals, River had two assists, and Xavier Stalkfleet had five saves in goal.